A topographic map is a detailed and accurate graphic representation of cultural and natural features on the ground. Precision Depends on map provider and covered territory. High. Such maps usually a source for topographic tasks. Cost High Low, there are freely available maps for some territories. User's maps No Yes. Possibility to scan and calibrate own image. Unfortunaly, there is no good topographic maps in vector formats, but we need good maps for precise outdoor navigation. Also, raster map can be simply produced - you just need to scan original paper map. As you can see, raster topographic map is much more detailed. What information can I find on a topographic map? Includes roads, buildings, urban development, boundaries, railways, power transmission lines. Includes lakes, rivers, streams, swamps, rapids. Includes mountains, valleys, slopes, depressions. Includes wooded and cleared areas, vineyards and orchards. 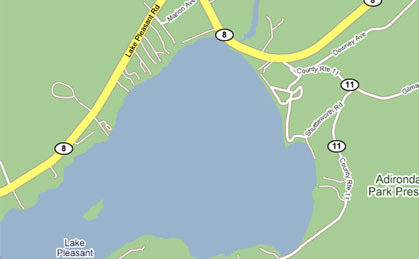 Includes place names, water feature names, highway names. Seven colours can be found on a map, each relating to different types of features. BLACK shows cultural features such as buildings, railways and power transmission lines. It is also used to show geographical names (toponymy), certain symbols, geographic coordinates, precise elevations, border information and surround information. RED is used for paved roads, highway numbers, interchange exit numbers, certain symbols as well as for names of major transportation routes. A red tint is used to show urban development. ORANGE indicates unpaved roads and unclassified roads and streets. BROWN shows contour lines, contour elevations, spot elevations, sand and eskers. BLUE represents water features, such as lakes, streams, falls, rapids, swamps and marshes. The names of bodies of water and water courses are also shown in blue, as are magnetic declination and UTM (Universal Transverse Mercator) grid information. GREEN indicates wooded areas, orchards and vineyards. GREY is used on the back of the map where the different symbols and a glossary of terms and abbreviations can be found. Is a topo map similar to a road map? They both show roads, water features, cities and provincial parks, but that's where the similarity ends. 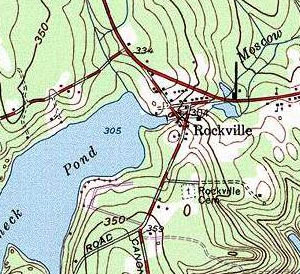 Topographic maps also show relief, forest cover, marsh, pipelines, transmission lines, buildings, various types of boundary lines, and many more features. Topographic maps show both a geographic grid (latitude/longitude) and a UTM grid (kilometres), allowing the user to determine precise positions. Scale refers to the relationship between distance on a map and the corresponding distance on the ground. At a scale of 1/50 000 for example, one unit of measure on the map represents 50 000 equivalent units of measure on the ground. Medium-scale maps (e.g. 1/50 000) cover smaller areas in greater detail, whereas smaller-scale maps (e.g. 1/250 000) cover large areas in less detail. A 1/250 000 scale map gives a general overview of a large area and is a perfect guide for pre-trip planning. It covers an area of approximately 8 000 square kilometres or 160 km x 110 km, and depicts numerous aspects of the terrain. 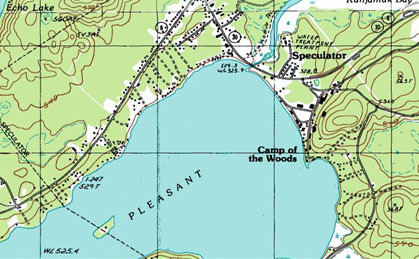 Refer to the map detail and natural landmarks to guide yourself through unfamiliar areas. A 1/50 000 scale map is highly detailed and covers an area of approximately 1 100 square kilometres or 40 km x 28 km. It shows vegetation, cultural information, approved names (toponymy), land elevation and water bodies, in great detail. Note: A 1/250 000 scale map covers the same area as sixteen 1/50 000 scale maps. Contour lines connect a series of points of equal elevation and are used to illustrate relief on a map. For example, numerous contour lines that are close to one another show hilly or mountainous terrain; when far apart, they indicate a gentler slope. Some maps to download in USGS GeoTIFF format. You need .tif files only. These files contain all required geographical and other information.